My finger suddenly got a life of its own and clicked preorder at amiami.....dang! LOL, yes, this is 1/60 scale. Pre-ordered at AmiAmi, no way in Hell I could pass this up at that price point! I think VF-25 shared the same desgin, just without the canard on the YF-29. For those happy with YF-29 nose length, VF-25 should do the same. Well at least the first time around I only picked up Alto. I've never transformed it so I don't know about the floppiness. I'll pick up a v2 and leave it in battroid. Maybe I'll pick up a v2 Ozma. I got suckered into an Alto with Armored Pack, and the VF-25G so really I didn't buy much but was still unhappy with them none the less. Seeing as how this didn't seem like it would happen and Yamato wouldnt get the license in like 10 years i jumped for them. Gladly I didn't buy the rest until the Quarter and the VF-27 hit which were far better and made me hate my 25s even more. I did get VF-27 and was very happy with it thou. I don't think this Version 2 will be sold out, so I'll wait and check the reviews and other variations announcement before I make my move. The temptation got the better of me... preorder placed with AmiAmi. This will be my very first DX VF-25; I'm just hoping that the gloss will have been toned down on these "revival" versions like it appears to have been done with the YF-29... I'm still not a fan of shiny war machines but I'll take semi-gloss over an over-the-top car show finish any day. Will the other variants get pre order pricing?? I just want Ozma's without the FA. If Amiami's selling them they should be similarly discounted as well. yeah, i've been wanting a Super G forever... if Bandai will follow the same release pattern, this would be my first v.2 purchase... the srp would probably be around 18000+JPY though this time around. edit - oh, i suddenly remembered why i never got around to getting a VF-25G... Renato's sig... so thanks! The new DX VF-25 finally looks right in Gerwalk mode! 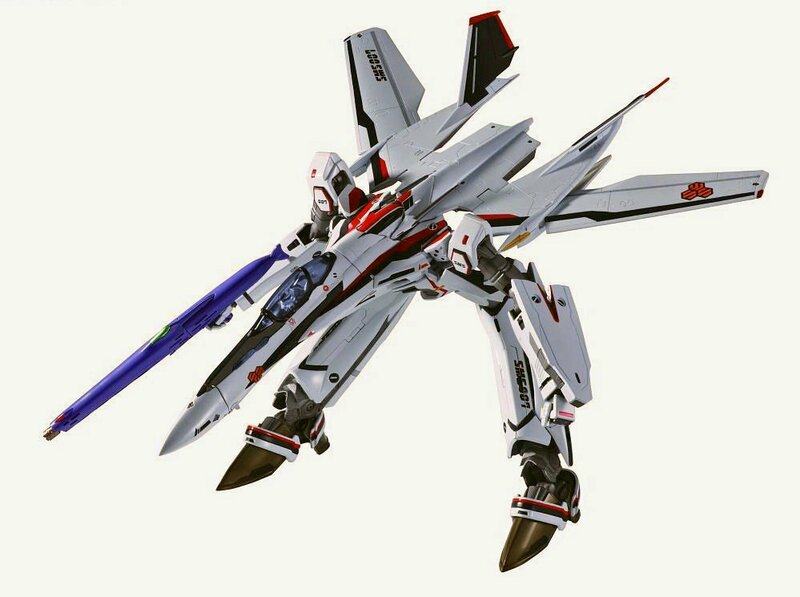 Preorded on amiami now Ho wants a VF-25 V1? Hope we get V2 Tornado/Armoured/Super Packs as a 3 in 1 retail set, not a web exclusive. Actually I could live without the Super Pack, never really liked the design, but love the Tornado and Armoured Pack. 3-in-1 is pointlessly big/expensive. You rarely see Ozma with Super, and it's "uncommon" for Alto to have full armor. OK, so here's what I heard today. Apparently that pic of Battroid mode is a photoshop job, made up of reconstituted arms, legs, etc. all placed in position to look just like the CG lineart. 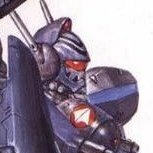 I've seen the YF-29, if the same people who did that are doing the VF-25 V2, then I'm not concerned in the least. Did Alto's valk have a secondary weapon? w/ stand?... then that would probably account for the increase in price. so the bundled packs should have near the same price as before since the v.1s had them already. all we need now is for our currencies to get stronger vs the JPY. What? First Michael Bay and reused island footage and now Bandai. Can't trust your eyes anymore. I shoulda swallowed the red pill instead. 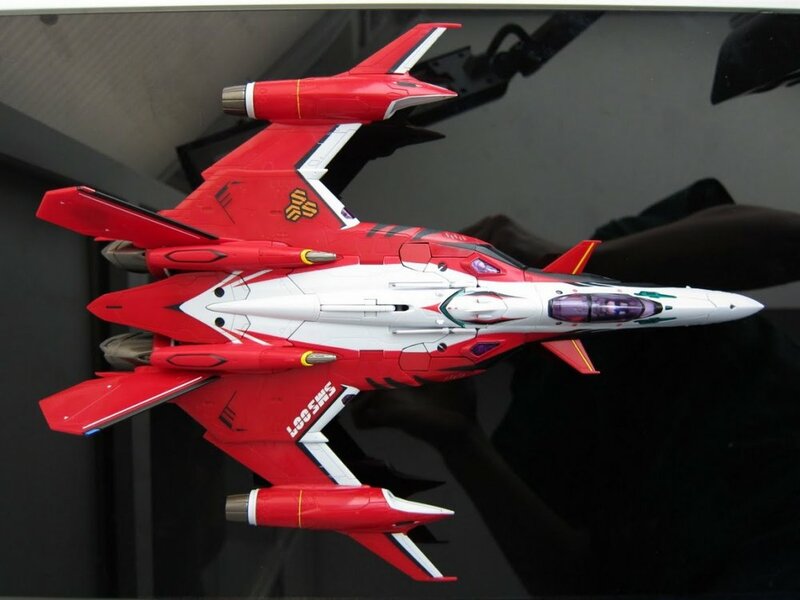 Do you guys seriously think Bandai is going to take a step backwards from the VF-27 and YF-29? No kidding. The paranoia is strong. Oh, I have also preordered. Can't wait! I heard Bandai is going to incorporate Takatoku VF-1 style hip bars for more stability. 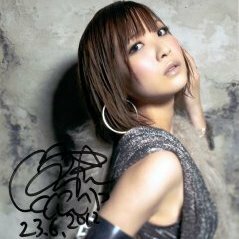 I heard the people who post at Macrossworld are really gullible. Yes! Wan it, want it, want it. I just couldn't convince myself to buy a VF-27 or a YF-29. This one is sweet. A little pricey for me, but what the hell! I want one since I finished watching the series. BTW is it just me or this thing got a lot of diecast on it??? Well, if it is based off of the yf-29 than it's going to have more or less than same amount as the ver 1 dx vf-25. So there's diecast in the ankles, a bit in the feet and then some in the shoulder assembly. As long as the paint isn't easy to scrape off I am ok with it being almost free of diecast. Any new pics of this toy (front, top, side). Not that I doubt bandai's ability to make a superior version to old version just curious to see those angles. I want diecast only be used in the internal or non painted area, paints on the shoulder can be scratched too easily. Well, an "insider" friend of mine spoke to bandai and he told me what they told him.